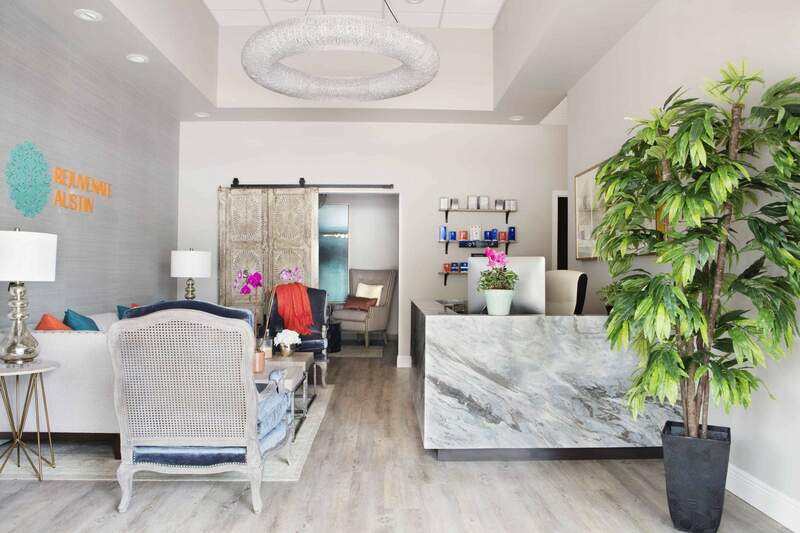 This soft and tranquil medspa was designed with clients in mind, creating a unique and colorful retreat without your standard ‘clinical’ feel. 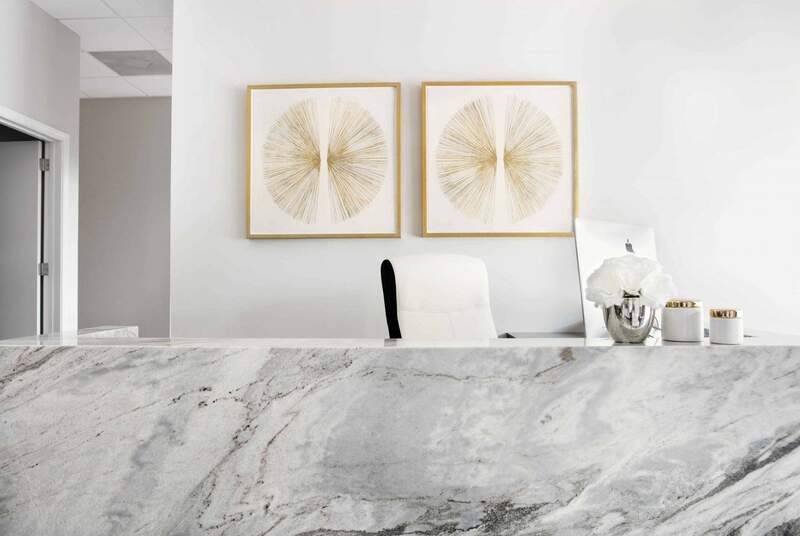 Eclectic elements, such as the reclaimed wood vintage temple door and the waterfall reception desk provide visual interest and character. The distinct lighting accentuates the soothing nature of the spa, while providing subtle touches of antique charm.